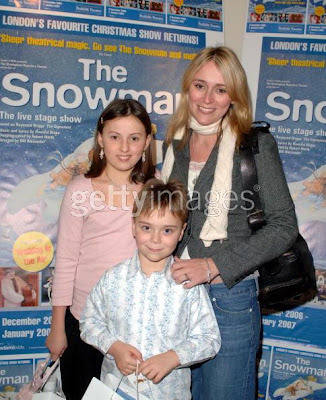 Keeley at a VIP Christmas party after a performance of The Snowman at the Peacock Theatre in London on December 9, 2006. 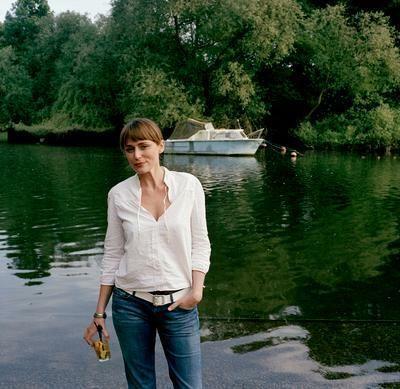 The caption for the photographer merely identifies the girl and boy as Keeley's guests, but I think the boy is Keeley's son Myles. Just a guess, though. Update: The little boy is indeed Keeley's son, Myles.